My granny loved cut-glass. I remember her visiting our home, and as a huge favour to my mom, she would wash the cut-glass collection that decorated the sideboard in our diningroom. I remember the sense of pride we all had as the pieces were placed back all bright and gleaming. A few years on, I remember how uncool cut-glass became. It was easy to find in vintage stores, because no-one wanted it any more. But now all is forgiven. Cut-glass has a place in a different sort of way. 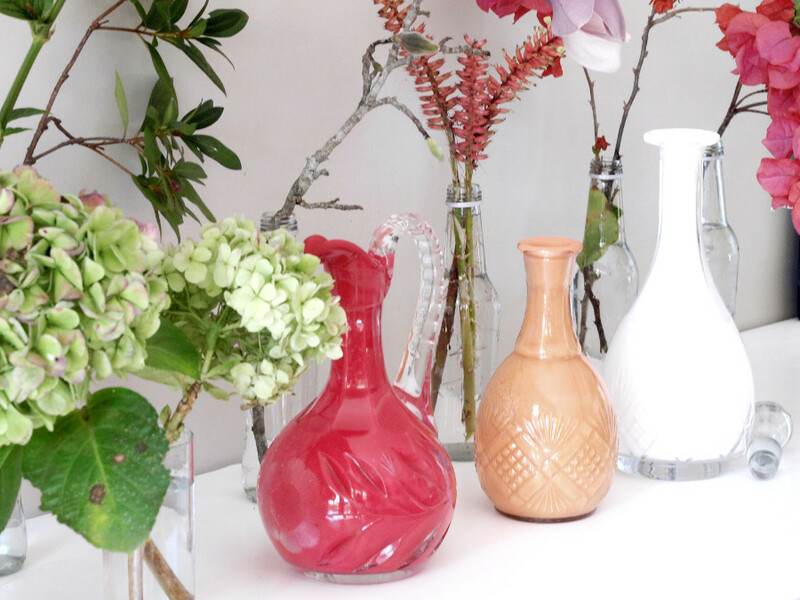 The vases were coated with Annie Sloan Chalk Paint. I diluted the paint with a little water to make it slightly more liquid. I poured the paint in, then rolled the bottle around until the inside was evenly coated. 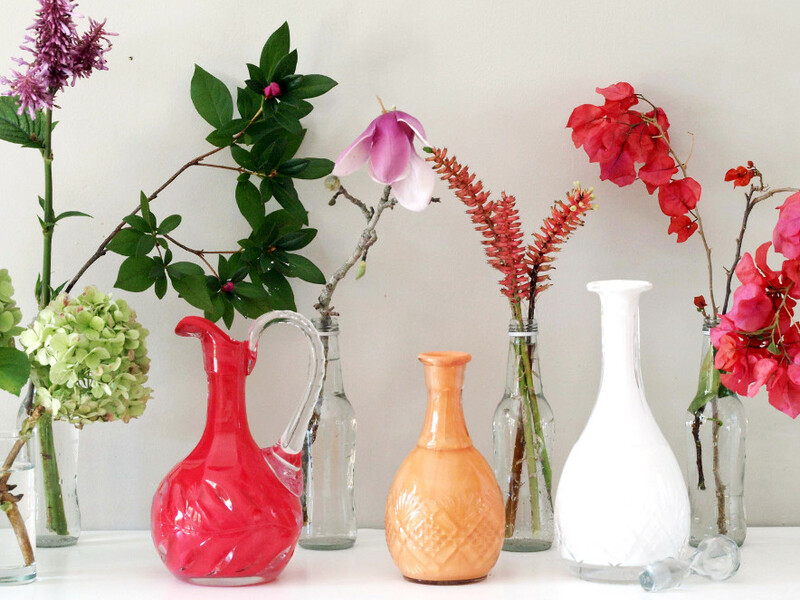 Note – The paint can take a long time to dry, and you may need to re-roll the vase to keep the coating even. Try to add as little water as possible. Aid the drying with a hairdryer. Do you Know how Glass is Cut?